The Rais X-Basic is discontinued. Nothing detracts from the radiant center of the new Rais X-BASIC fireplace. 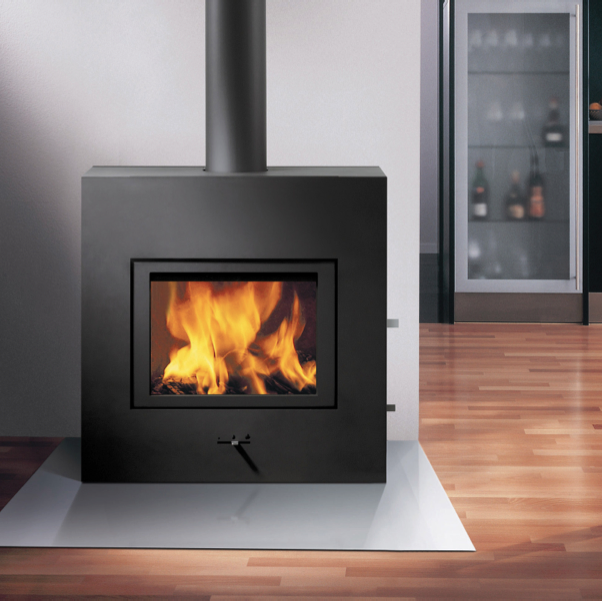 With its striking linear form and very cool design features, that includes sophisticated eco-wise burning technology, innovative sliding door, and a safe-touch handle, this award-winning stove is sure of a warm reception. 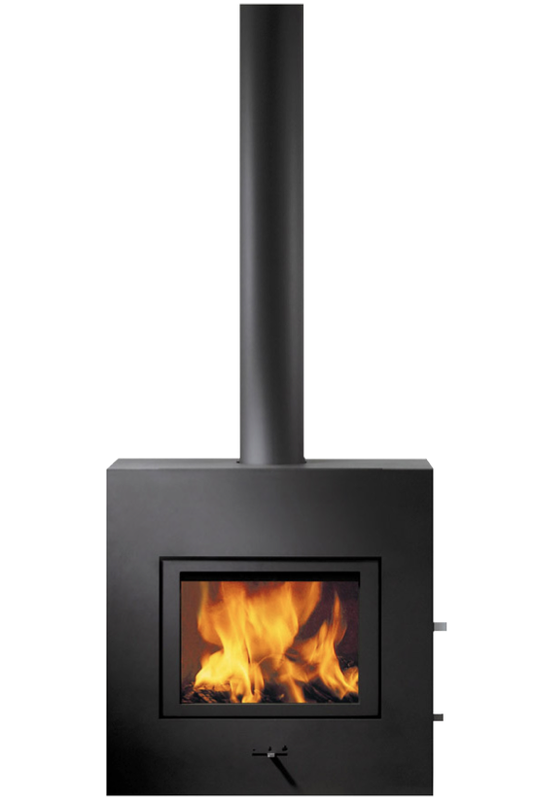 The large front window makes the X-Basic into more of a hybrid between a wood stove and a freestanding fireplace. You can really enjoy the ambiance of a fireplace while also getting the efficiency and comfort of a wood stove. The Rais X-Basic is equipped with the innovative air-wash system that that ensures nothing comes between you and a magnificent view of the fire. This advanced air-supply system keeps the glass pane completely clean by pulling pre-heated air on the inside of the glass. Awarded the Red Dot Design Award in 2007, the X-Basic has been nominated to The Design Award -“Der Designpreis 2008” – which is the Official Recognition of Excellence in Design given by the Federal Republic of Germany.